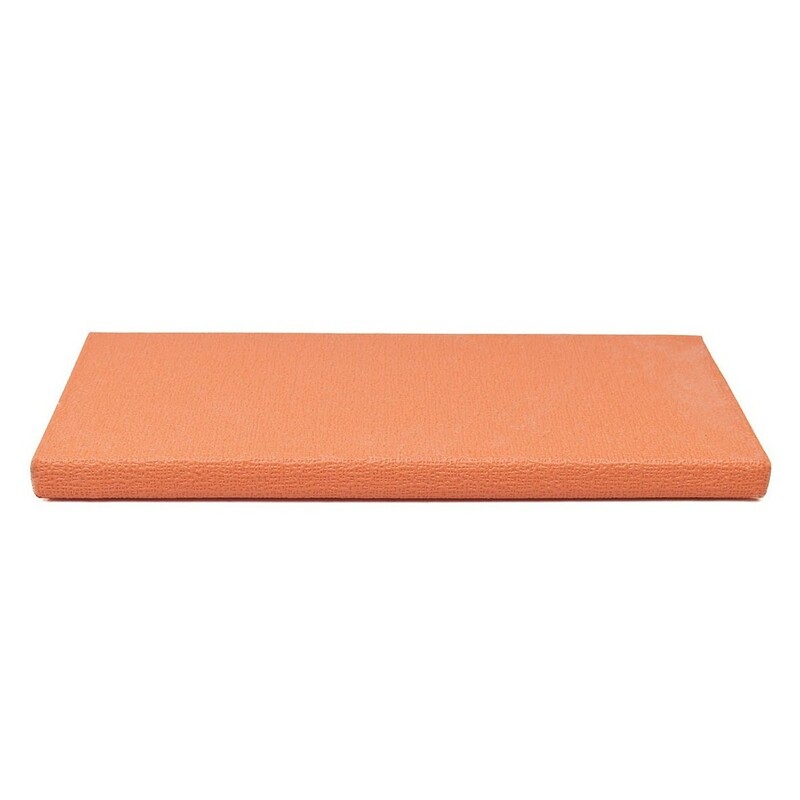 The Ruach Orange Tolex 1 Pedal Board offers room for 3 pedals or 4 nano pedals, and is Ruach's smallest board measuring at 34cm x 15.5cm x 2cm. Its bright orange tolex design is perfect for players who like to stand out from the crowed, adding a warm feel to their look while compelling them to deliver harsh, earth shattering tones. Delivering in a turdy carry case and featuring velcro strips for attaching your pedals, the Ruach Orange Tolex 1 Pedal Board is perfect for travelling and gigging musicians. The Ruach Orange Tolex 1 is a compact guitar effects pedalboard with space for mounting a small collection of pedals. The board is designed to simplify your pedal management, offering a stable and durable foundation for up to 3 large pedals, or 4 nano pedals. 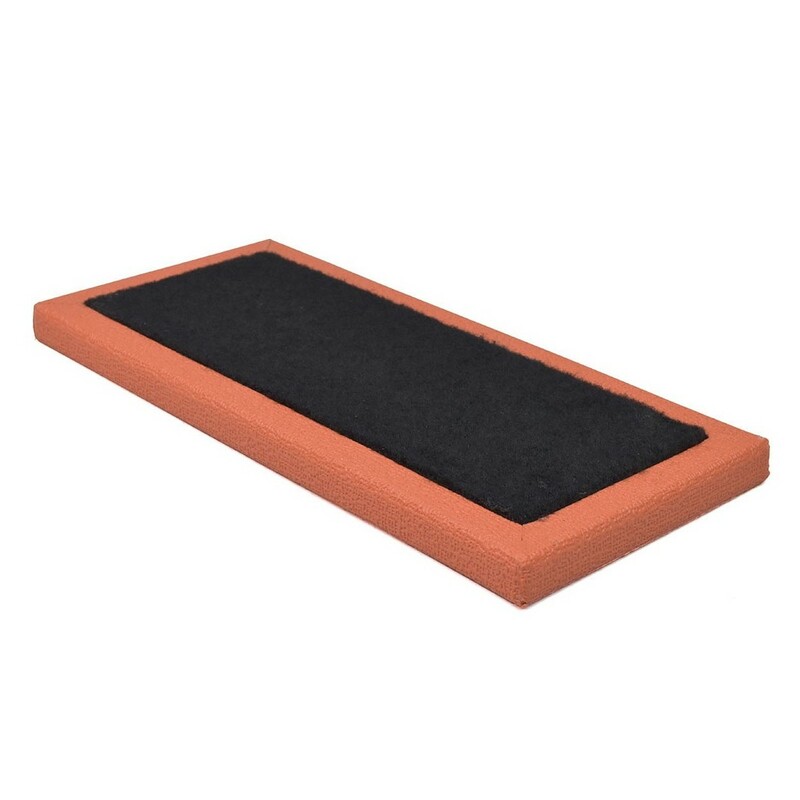 The Orange Tolex 1 board also features a convenient non-slip base for stable and balanced use on virtually any ground surface, making it the perfect choice for music on-the-go. Ruach Pedal Boards are hand-built in Northern Ireland using the finest hardwoods and materials for unparalleled performance and substantial durability. The orange tolex series is designed with an eye-catching, warm orange aesthetic, enticing you to create devastating tones and melt faces. Ruach are following the “Ruach Breathe” initiative, focusing on producing their instruments with respect for the world around us. The idea is to craft instruments that musicians desire, whilst minimising the companies carbon footprint. Ruach are implementing the physicality of their proposition by planting a tree for every pedalboard purchased.